June 2016 will see the 200th anniversary of ‘the Loughborough Job’ – a Luddite attack in the town which resulted in the destruction of lace-making machinery at John Heathcote’s Mill Street factory (now Market Street) and the withdrawal of Heathcote and much of his workforce from the town. To mark the anniversary, the history of the uprising is discussed in a book recently published by Panda Eyes Publishing. ‘The Last of the Luddites’ is the result of seven years of research by Loughborough Library local studies volunteer Ian Porter. It draws on Ian’s knowledge of the town as well as on extensive historical evidence, much of it unseen by the public before. The book is illustrated throughout with drawings by local artists Michael Sharp, Diana Brass and Jennifer Harker. The attack on Heathcote and Boden’s factory in Loughborough took place on the night of 28 June 1816. 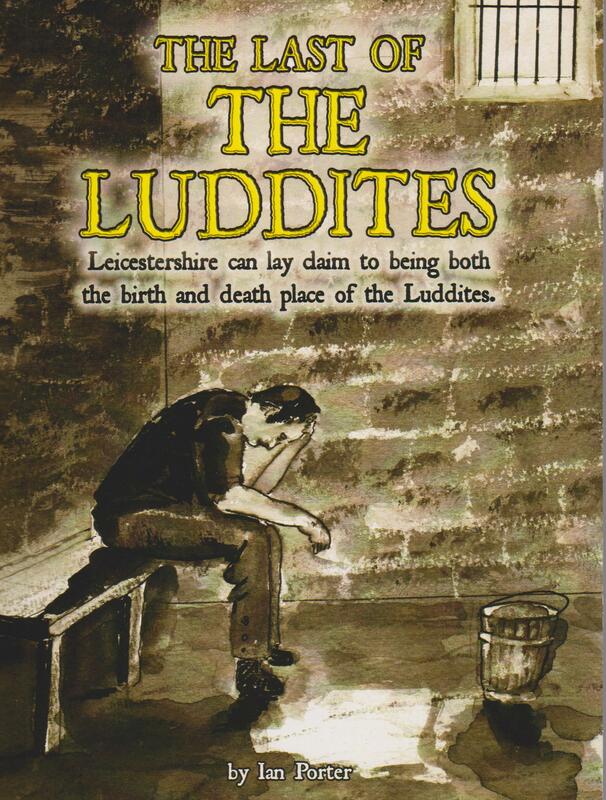 The attackers – known as ‘Luddites’ after Ned Ludd, an Anstey youth famed for frame-breaking – spent the day drinking in the town before breaking into the factory after dark. They took the factory hands by surprise, shooting and injuring night watchmen John Asher before destroying 55 machines and burning all the lace stored at the factory. The majority of the men were from Nottingham and were caught shortly after returning to their homes there. Mystery has always surrounded the reason for the attack. Were the offenders anarchists set on saving jobs being taken by mechanisation or were they paid to carry out the attack by Nottingham manufacturers threatened by Heathcote’s success? This is just one of the questions the book aims to answer. Whatever the facts of the matter, many of the men who broke into the factory paid a heavy price for their involvement. Six were hung and two were transported. A handful turned king’s evidence and escaped justice. 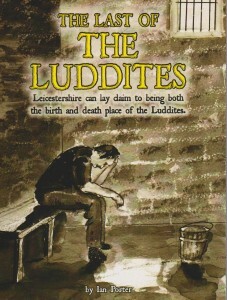 ‘The Last of the Luddites’ costs £9.99 and is available from Loughborough Library as well as Delice Café in Baxter Gate, Tylers in Carillon Court and Waterstones Bookshop in the Market Place. You can buy it online here. 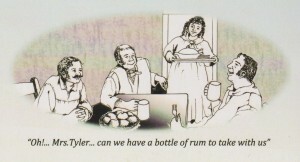 Before the attack the Luddite gang visited ale houses in the town, including one run by the Tyler family. This article first appeared in the Autumn 2015 newsletter of the Loughborough Archaeological and Historical Society. You can find out more about the LAHS here.